A heart attack is suspected. 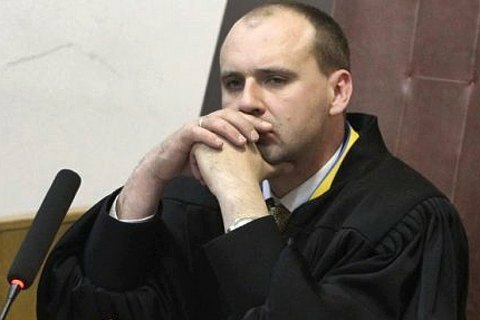 A judge of Kyiv's Solomyanskyy district court, Oleksandr Bobrovnyk, 37, died of a heart attack, Ukrainian News has reported quoting a source in law enforcement. He allegedly suffered from high pressure and heart problems. According to the spokesperson for the National Police in Zhytomyr Region, Alla Vashchenko, Bobrovnyk died behind the wheel of his car in Zhytomyr Region. Medics who tried to resuscitate him called the police. A preliminary inspection of the scene and his body did not reveal any signs of violence. Law enforcers tend to believe he died of natural causes. Although the police opened a murder case, Vashchenko explained that this is a usual practice in the case of deaths for obscure reasons. In 2017, Bobrovnyk arrested a former head of the State Fiscal Service, Roman Nasyrov, and set a 100m-hryvnya bail for him. However, he refused to arrest former MP Mykola Martynenko (People's Front) and released him after several MPs stood surety for him. The judge also authorized an investigation in absentia against former MP Oleksandr Onishchenko.